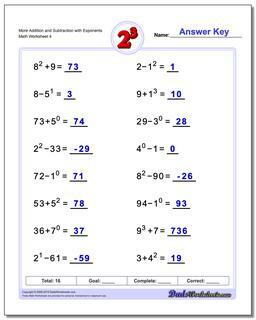 Worksheet practice mixing exponents with addition and subtraction operations. 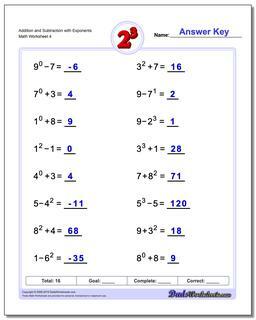 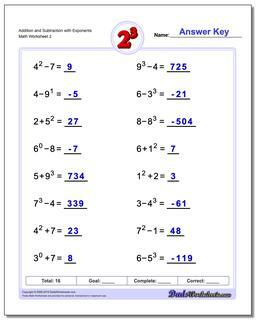 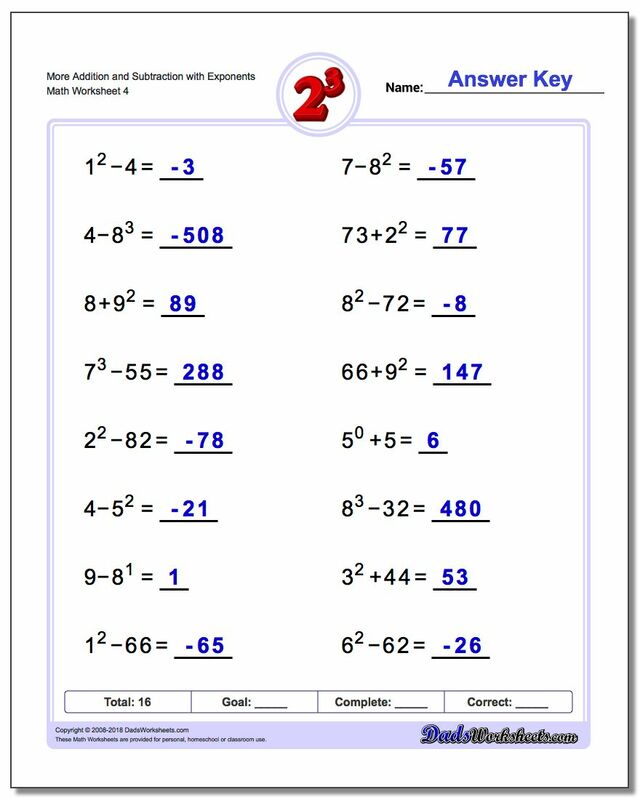 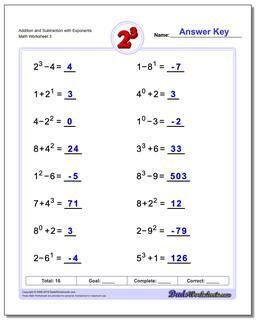 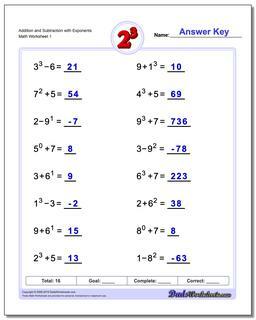 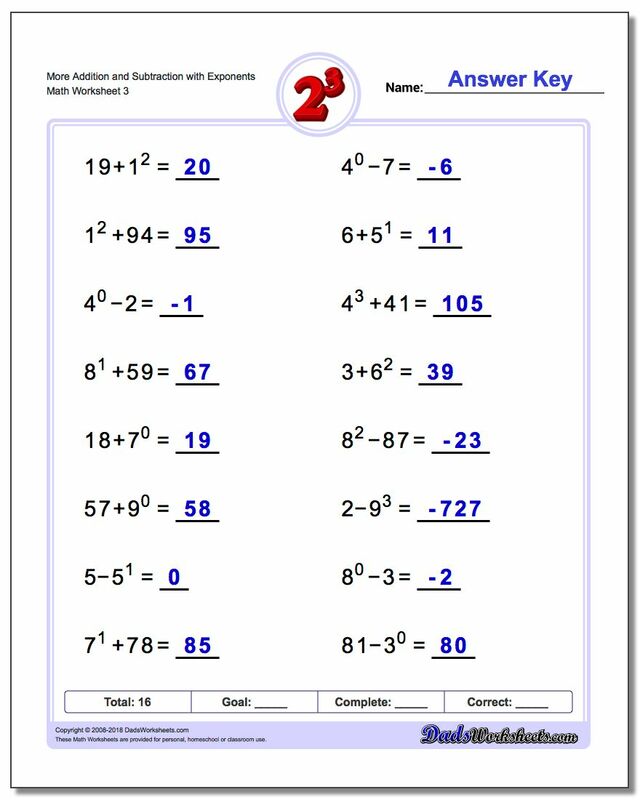 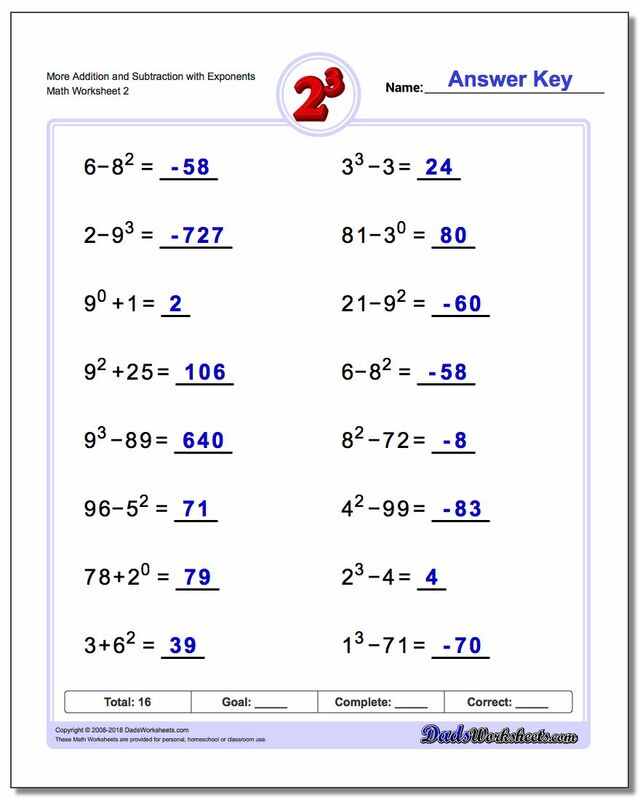 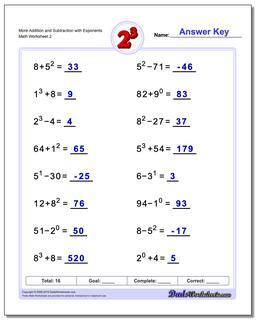 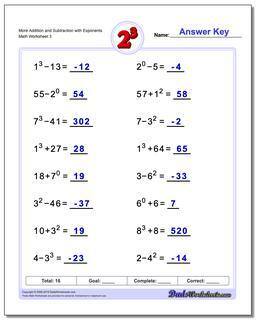 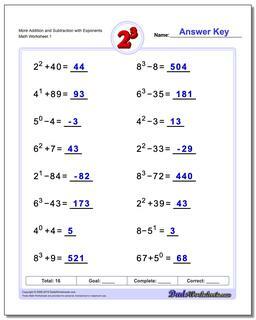 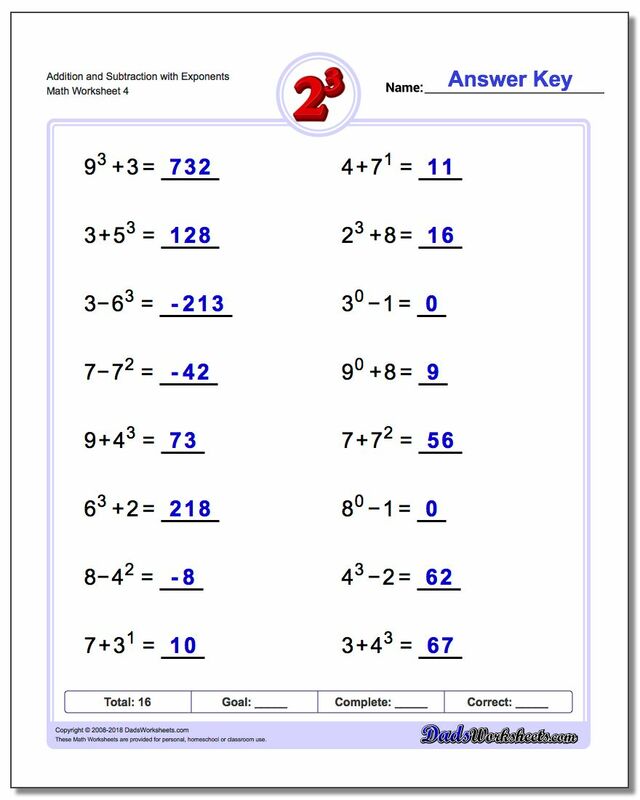 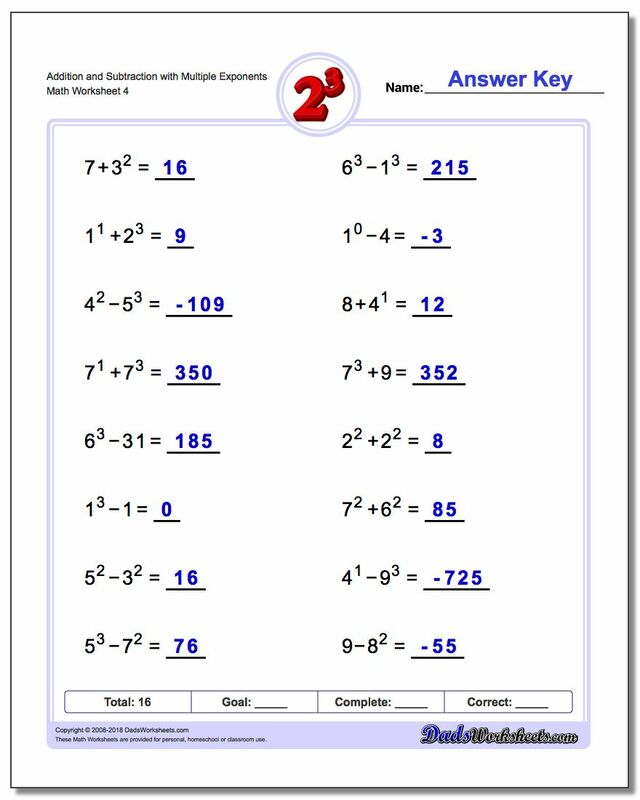 This is great practice for helping learn order of operations with exponents. 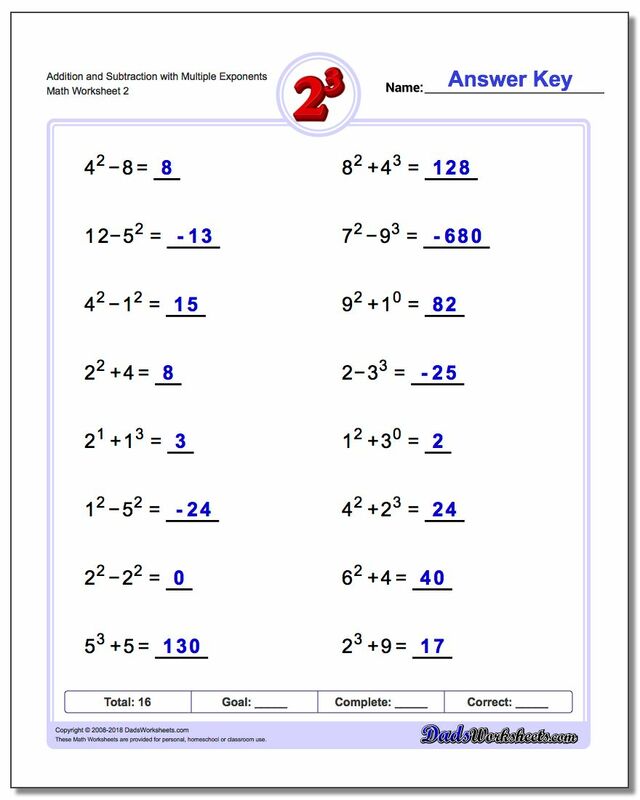 These exponent worksheets have addition and subtraction problems adding simple exponential terms to numbers, as well as adding two exponential terms to each other. 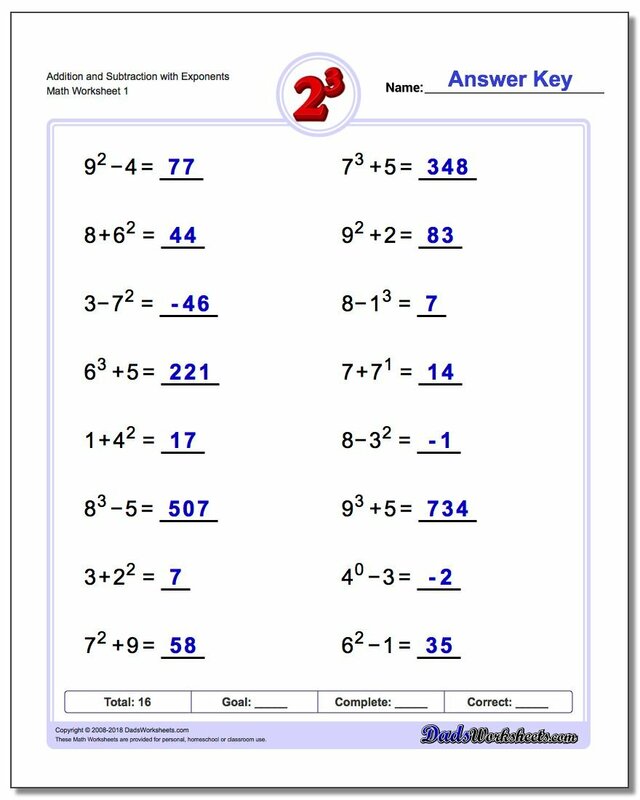 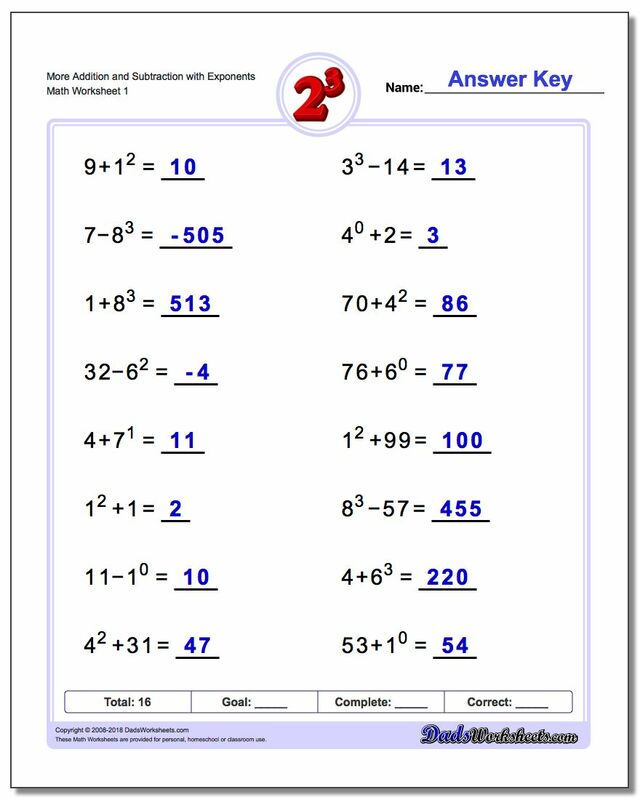 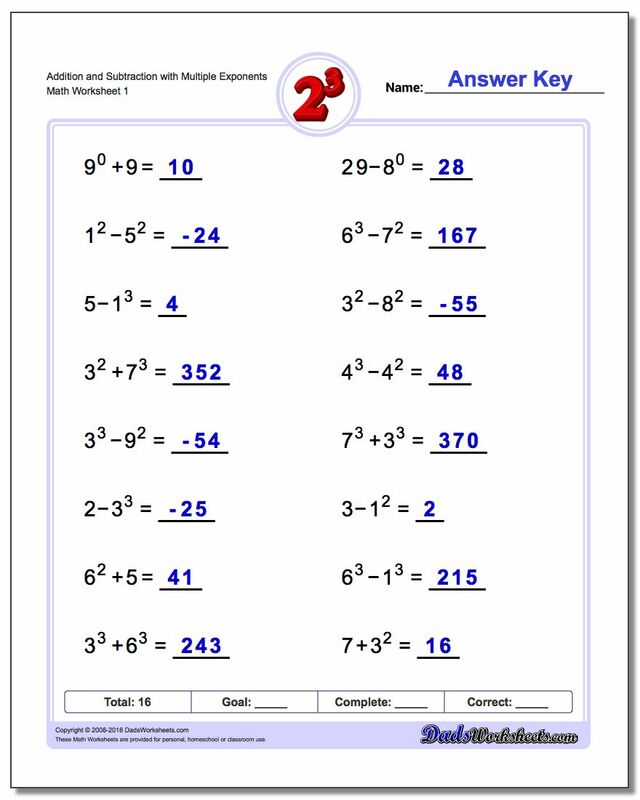 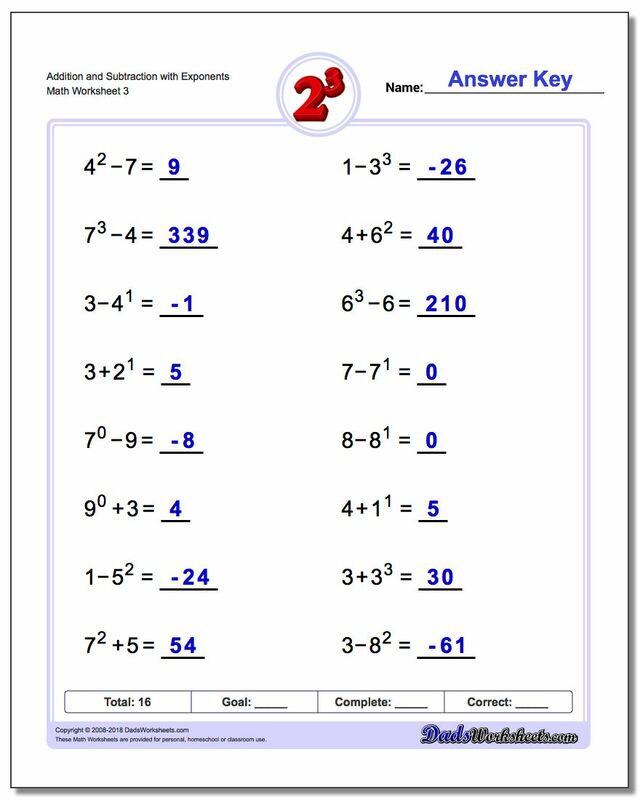 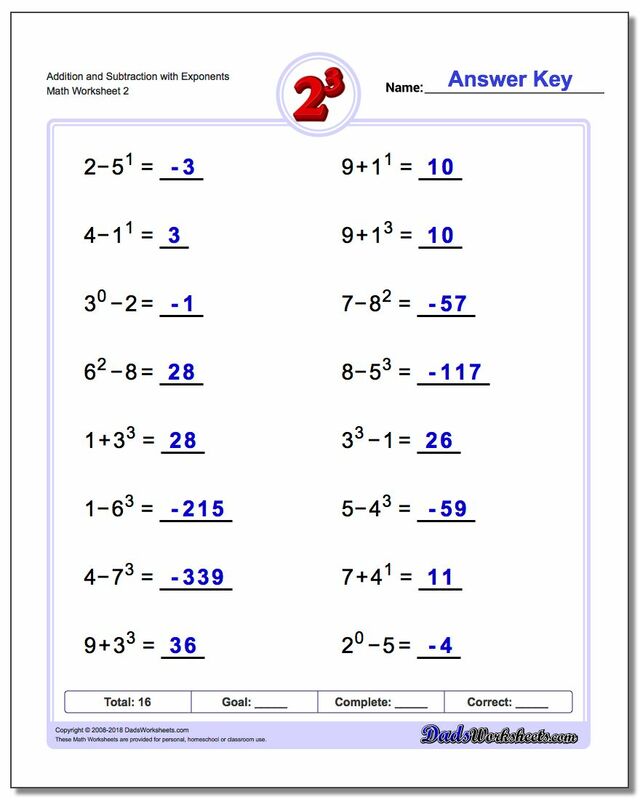 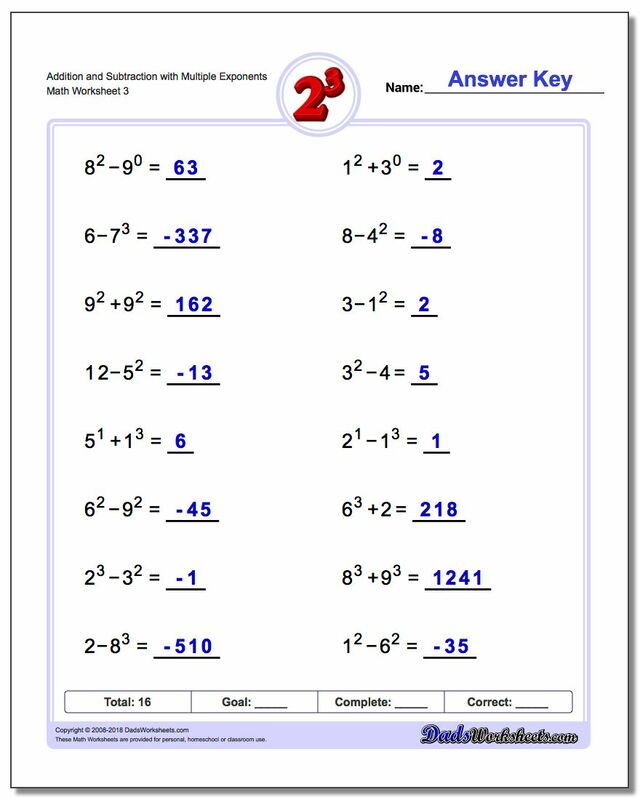 The problems in these worksheets help teach order of operations with exponents in a simple context.